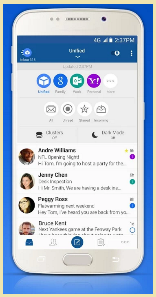 Blue Mail The android play store boasts of various mail applications that are bound to make the email experience on your cell-phone a brilliant one. Present within a list of exceptional email applications, Blue Mail makes an identity for itself to stand up as the best rendition of every user’s perfect mail application. The application is compatible with all the mail providers, and has a smooth interface that makes sending and receiving emails as easy as ever. The application can be used on android wear and comes with private emails, widgets and color coding. Furthermore, you can change the theme within the application to match your own needs. The icing on the cake is that the applications is completely free for downloading and has garnered a lot of positive reviews for its unlimited ease of access. With a rating of 4.7 on Google Play, Blue Mail is part of that exemplary list of applications that are worth the time you put in them. Nova Launcher Launchers of all kinds have been fan favorites on the Google Play Store, as they provide users with a chance to experiment with the interface within their smart phones. Witnessing the same software and theme everyday can be a bit monotonous and boring for most users. Thus, they tend to experiment with launchers, as they provide them with a feasible alternative. Nova Launcher has been leading the way ever since it was launched on the app store. With countless updates that make it compatible with the demands of the changing times, the Nova Launcher comes equipped with all that users need for a smooth and exciting experience. The launcher is available for free, with the premium version, equipped with various new features, available for an inexpensive 5 dollars. 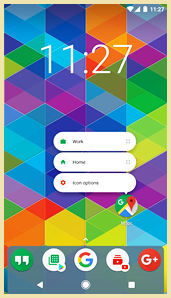 Developed to help you customize your smart phone experience, the Nova Launcher is the perfect option to try out if you are looking for innovation on your screen. 1Weather One thing about the Android Play Store is that it has a variety of weather apps on it, which keep the users up to date with the weather in their area and across the world. One such weather app, which has made a name for itself as the best on the play store is 1Weather. 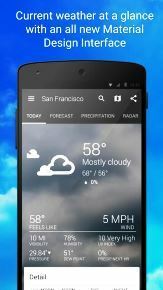 With an exemplary paginated design, the 1weather app offers a lot to try out for its users. You will also get the routine notification whenever a storm or severe weather is incoming. Furthermore, there is also a radar which you can look into to catch a hold of any approaching storms or heat waves. The most interesting point in favor of the application is its simplistic design as you just get to see the weather with interesting fun facts. The full version can be downloaded for free from the Android Play Store, while the one without advertisements can be done for a minimal purchase of $1.99. Inculcating all the different aspects of the weather with interesting fun facts, the 1Weather application is a must try. Whenever in doubt, while arguing with an IOS user about the best Operating System, Android users tend to bring up the Google Drive Suite and the limitless benefits that it has in store. The Google Drive is as we all know a cloud storage option available only for users of the Android operating system. Users get storage of 15 GB when they sign into the server. An increase in the size of the storage can be available once you feel the need for it. Storage size can be increased by paying some extra bucks. Besides the endless user feasibility, what makes Google Drive special is the suite of other Android apps that come with it. 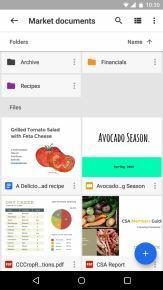 The other applications available within the Google Drive Suite include Google Sheets, Google Docs, Google Slides, Gmail, Google Photos, Google Keep and Google Calendar. The suite of apps gives you the option to do anything productive that you want, within the comforts of your smart phone. Furthermore, the apps can be collaborated with the documents from the Microsoft Office to provide the best solution to users. 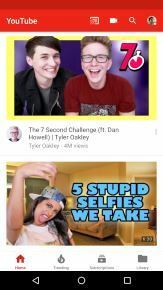 YouTube YouTube is without a doubt the most versatile and rich video platform available for viewership on the internet. YouTube has during the last few years amassed heights that every application would like to do. With the presence of the best and the most thorough collection of videos, YouTube can be used for a variety of purposes. This can be proven by the fact that YouTube is as handy when you are studying, as it is when you are looking for entertainment. You can make various playlists, subscribe to your favorite channels and communicate with other Youtubers through their exemplary communication model. The basic YouTube version is available for free, while YouTube Red can be purchased at a minimal amount of $9.99 to avoid advertisements and to listen to an mp3 on a video with your screen off. All in all, the application is at the top of the ladder of success, and is to date one of the most loved applications on the Android Play Store. 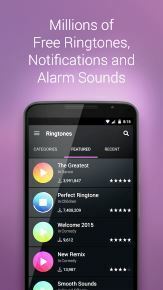 Zedge Zedge gives you the luxury of viewing and downloading wallpapers, notification tones, ring tones and alarm tones all in one application. The variety of all the tones and wallpapers present in the application is exemplary and leaves very little to be desired. You can customize your smart phone and the various tones according to your needs, so that the phone looks like it was made for you. Zedge has separate customized items for holiday seasons like Christmas, Easter and Thanksgiving to name a few. This feature spares you from the hassle of searching on the internet for a ringtone that you can have on your smart phone to mark the season. Considering that the app is free, there are some minor issues like low resolution wall papers and irritating advertisements, but overall the device should make the cut into your wallpaper and ringtone collection. SwiftKey Keyboard If you are tired of tapping your hands on the wrong places in the keyboard on your phone, then you need to get on track with the times, grandpa, and download the SwiftKey application. The keyboard provides customization of the highest pedigree and comes with a lot of added benefits that make it an interesting option to go for. Users can adjust the size and change the background of the keyboard to match their own preferences. SwiftKey also provides gesture typing, cross device synchronization and multiple language support to name a few. Microsoft is now in charge of Swiftkey, so bigger and better things can be expected from them. There are a variety of apps available on the Play Store to get things done. One such application which makes sure that you are on track with managing the list of work that you have to do is Wunderlist. The application makes you manage a variety of tasks from as simple as keeping the bin outside to more complex ones at the office. Home users can download the free version while office workers can get the pro version available at $4.99 per month. The apps versatility makes it change according to your preferences and use. LastPass Password manager Only a few applications make the cut of being a must have on the world of Android Play Store. The LastPass password manager is one such app, as it saves all of your login credentials in a safe and thorough manner. The application is controlled with a master password and has cross-platform support, which makes it accessible for all types of mobile devices, computers and tablets. The basic version is free, while the authenticator can be purchased for $12 per year. Google Maps If there ever was an application which deserved the coveted title of being the father of its kind, then Google maps would win hands down. Google maps application, available on the Android Play Store, virtually owns the navigation technology available on smart phone nowadays. Having the first mover advantage in its favor, the application has updated and thorough maps, which make navigating around a new neighborhood simpler. Besides the basics which everyone has a hang off, Google map provides people with data regarding traffic and the various places of interests nearby. Once you get the basics of Google maps and the various benefits it offers, you will not feel the need for any other navigation app ever again. We are currently tabulating the best apps so far this year. ZocDoc is for making and finding your doctor’s appointments. ZocDoc gives you a list of doctors in your area only requiring your postal code and insurance information. It doesn't only work with primary care physicians it also works for therapists, dentists, and many other specialists. Slice App. 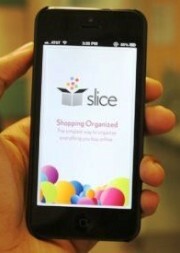 Slice helps you keep track of spending off line. This Android app is not only a beautifully designed package tracker, it allows you to stay on top of all your online purchases. Slice securely scans your email for receipts from online store such as amazon, and iTunes, or the app shop on your android device and creates a archive of all your purchases. Flayvr Flayvr for organizing you photos better than the standard Android app. Flayvr automatically organizes you videos and photos in a gorgeous layout. It re-titles your albums based on events in your phone's calendar app. It even pulls out photos and videos that are hiding in your photos app and organizes them by date. Seamless order your food from anywhere you want online. Seamless works in 45+ cites and 10,500 restaurants. It is completely automated and is well-made and designed. You don't have to have any cash on hand as you can pay the bill and tips with you chosen credit card. Fancy Fancy is an online user-curated boutique that is very visually appealing. It allows you to view items in a magazine- like format. This app is an online based e-commerce platform with only items curated by its users. Minecraft App Minecraft- Pocket Edition is an ever changing and evolving game. In the world of Minecraft your objective is to place blocks correctly to build things. In the pocket edition you get randomly generated worlds to build in. It also has a very expansive multi-player so that you always have someone to play with. In the pocket edition you only have the blocks at your disposal to build a world around you. Team Stream keeps you up to date with all your favorite sports team. This is a completely customizable app made by Bleacher Report. Team Stream allows you to get updates on news about your team as well as their scores over the internet. It is also social enabled allowing you to share information with your friends on Facebook, Twitter, text messages, and email. ESPN ScoreCenter the best Android app at keeping you up to date with all the latest scores. 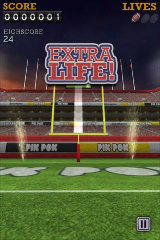 This app is perfect for any sports fanatic. It gives you real-time news and keeps you up to date the scores of your favorite games. The app allows you to reorganize and and personalize your scoreboard to receive only the news you want to and not the news you don't. ESPN ScoreCenter keeps you informed on all your sports needs such as scores, sports news, and even event of the day videos. SportsCenter also supports push notifications to keep you updated on your next big game. MLB.com At Bat for watching live baseball games. The app is designed to allow you to stream every single live MLB game to your tablet or smartphone. The app provides you with news, schedules, rosters, statistics, and breaking news. as a subscriber you will be able to access games on different devices such as your android phone or tablet or even on a Mac, IPad, Ipod Touch, Iphone, or even a PC. When the season is drawing to a close don't get bummed about the season ending you can relive the excitement of any game from the season and stream them on demand. Cost: $14.99 or a subscription of $2.99 a month for the season After the All-Star break the price drops to only $9.99 for the remainder of the season. Hipmunk Hipmunk is one great app that helps you find the best deals on all your travel needs. Hipmunk makes planning travel a breeze. Hipmunk sorts through all car rental services, hotels, and travel services to get you the best deals available. Also recently a new feature has been added that helps you book last-minute deals on hotels. TripAdvisor is another great app for getting the best deal on your travel expenses. This Android app is a great app for getting the beast deal on travel and stay around. With this app you'll get a seamless experience that is simple and looks great. It makes booking travel so easy and simple you'll never want to go home. The Android community is growing stronger every, single day, and the number of apps for the Android platform is growing exponentially as well. It can be said that a great many people are heading towards Android specifically for the applications available for the phone. There has been some debate about what the best apps are, and, of course, much of that is a matter of preference and subjectivity, but there are apps that are most haves for any Android user. Below you will find ten of the most beloved and useful applications offered in the marketplace. Dropbox is an application that allows you to quickly sync all of your files onto the cloud so you can access them anywhere you happen to be. Dropbox is a must have application for students and professionals alike; especially considering the fact that we, as a population, have multiple devices and store our files across a multitude of platforms. This easy syncing application makes application sharing and retrieval a breeze. Skype is a great application for creating video chats across the wifi and 3G network. It has a large, and ever-growing community, and an easy interface that makes video chatting easy and convenient. The Facebook app is a must have for anyone with an Android phone. The Android app for Facebook is incredibly stable and offers a side-swipe feature that makes viewing pictures and other information super easy. The "widget" option for Facebook available to Android-users is extremely convenient as well. WebMD is the app for anyone who fancies themselves a Google doctor. The app lets you input symptoms and figure out what might be wrong with your body. 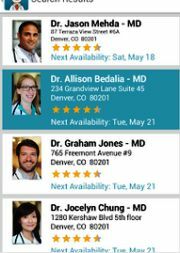 Recently, the addition of pharmacy and doctor locators has made this app an especially useful one. A top 10 application list wouldn't be complete without a fun, game based app. OnLive delivers all of the gaming needs of users. It is an app that allows its users to play the most current games right on a cell phone. A wireless controller and WIFI or 4G connectivity is best for this application, but it does work with 3G service too; just a touch slower than most would like. The concept is sound, though, and it is a great time killer! Along the same line as BBC is CNN's application. The CNN app lets you view information from around the globe or right in your backyard at your leisure and preference. You can share stories directly from the app and even listen to the live radio feed. Pinterest is the new buzzword in social media and the Android App is one of its best platforms. Pinterest is a basic, social, corkboard system and the creation of the Android App has made it a seamless option. Speaking of sharing information Bump is the application that makes sharing easier than ever. The basic premise of the app is that phone users can tap their phones together to share contact information, pictures and even apps on the phone. The application is available on the iPhone platform as well as the Android platform and the app works across platforms. This is the easier possible way to share information with friends or business contacts that are sitting next to you. The photo-sharing phenomenon Instagram has offered a simple and seamless Android App that uploads instantly. You can share your photos on Facebook, Twitter and Tumblr all at once if you choose. If you are an information junkie the BBC application is a necessity. The app is well organized and stable; loading in an instant. Users have the option of reading stories, viewing attached photos and even watching videos. It is an easy way to get your information on the go. Android apps are catching up the mega mart Apple Store in number and popularity. Here are the top 10 android app downloads others are installing on their Android mobiles. 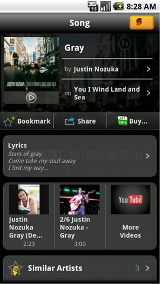 Identify songs with this great music search application. 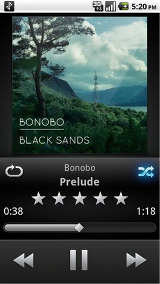 This song identifier now has unlimited music recognition. You can search by artist, lyrics or by singing the song you are looking for, put in front of a speaker to identify what is playing. A great use of sound recognition technology. This app syncs your iTunes music, photos and vids with your PC or Mac over WiFi. The neat thing about this app is you can use it to stream music, videos and photos from your phone straight to your PS3 or Xbox 360. This latest feature may not work with HTC phones at the moment. This app is a great way to earn rewards for checking into stores or even scanning barcodes at stores. 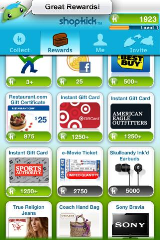 You earn kickbucks which can be redeemed for discounts and gift cards. You can find a lot of deals through their affiliate partners also. is maybe not one of the best apps, but it is very popular. This one’s popularity is probably dependent up thousands of adoring girls. This is an add on to PuzzleBox and has 90 high def pics of the Bieber. If you are a fan of Justin Bieber game will make a fine addition to your collection. This app is a great all in one player for radio, music and video. The app can work in conjunction with double Twist AirSync. 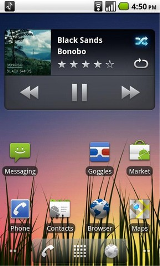 Syncs with your PC or Mac and grabs your songs and videos to have on your android mobile. Great graphics, fun idea, Flick Kick Field Goal lets you try your hand or finger in this case at flicking in a field goal. It has multiple modes for game play, leader boards and achievements. This app is highly addictive and a fun one to share with your friends that love football. This app is similar to the Poynt app. 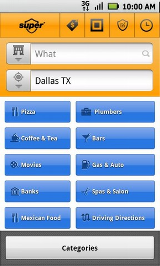 It gives you location searching capability to find restaurants, movies, banks, spas and more. It has less features than other apps, but has gained popularity for its speed and location awareness. It also has superior power management to other apps that are similar. It only accepts text commands though, so hopefully they will add the voice recognition routines in a later release. This app is an instant favorite. It lets you change your eyes color and texture in photos. This is a rather unique utility app and can be fun for making personalized backgrounds or just touching up one of your photos with a cool effect. It also has a feature that will turn a photo to black and white while keeping the changes you have made to the eyes. The Pro Version gives more tools; this version is the free one. You can create multi colored or full spectrum eyes. This is a neat app to have.